This Essteele Per Vita 24cm Open French Skillet is a pleasure to cook with thanks to the solid copper that is spread across the induction suitable base, allowing heat to disperse evenly and quickly. This results in optimum heat control and perfect cooking conditions favoured by the most discerning cooks. The elegant and refined design is crafted from high quality polished stainless steel for superior durability and shine. 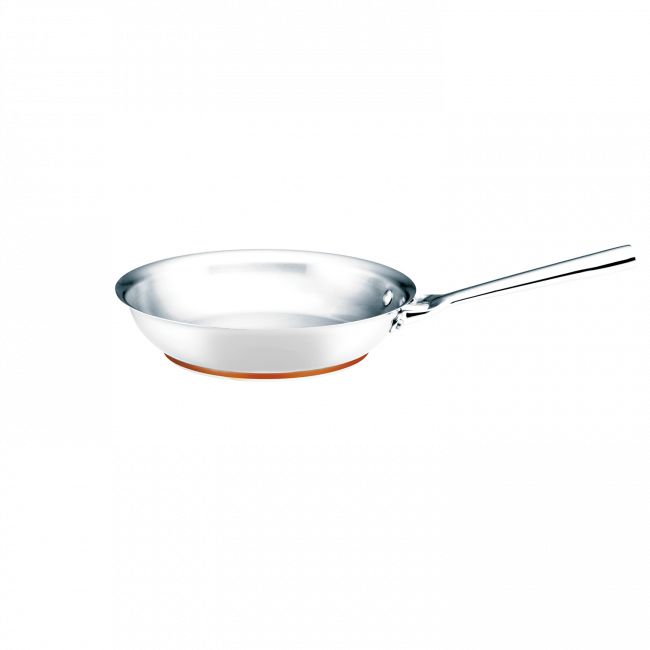 The handle is crafted from stainless steel to ensure this 24cm Open French Skillet will last a lifetime. 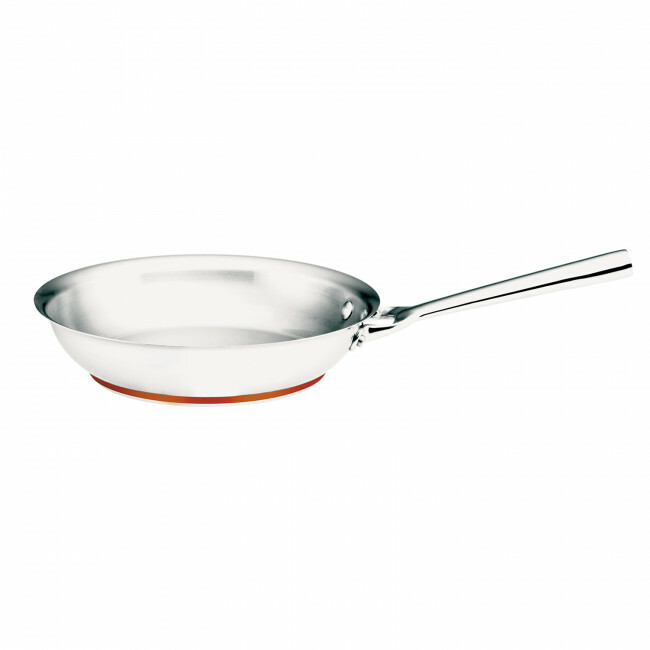 The saucepan is dishwasher safe, and oven safe to 240°C for added convenience. Essteele Per Vita 24cm Open French Skillet is rated 3.3 out of 5 by 3. Rated 4 out of 5 by Steph low from Great pan! Good pan. Looks beautiful. The gold strip at the bottom has unfortunately come off a little after a few washes though. Rated 1 out of 5 by Saz81 from Don't buy Everything sticks, burns, and leaves terrible residue even though scrubbed it clean. It's only good as maybe a low heat saute pan now... not a frypan. Rated 5 out of 5 by ellay from Beautiful cookware I bought this a few weeks ago on sale after having it on my wishlist for a very long time. It is a delight to cook with - such an even distribution of heat and easy to use (though I recommend that people read the instructions carefully about how to use it in terms of temperature settings and hotplate size and also how to clean it first). It is naturally a bit heavier than a standard version due with the copper base but this is not an issue for me. Justs adds to the experience of cooking!